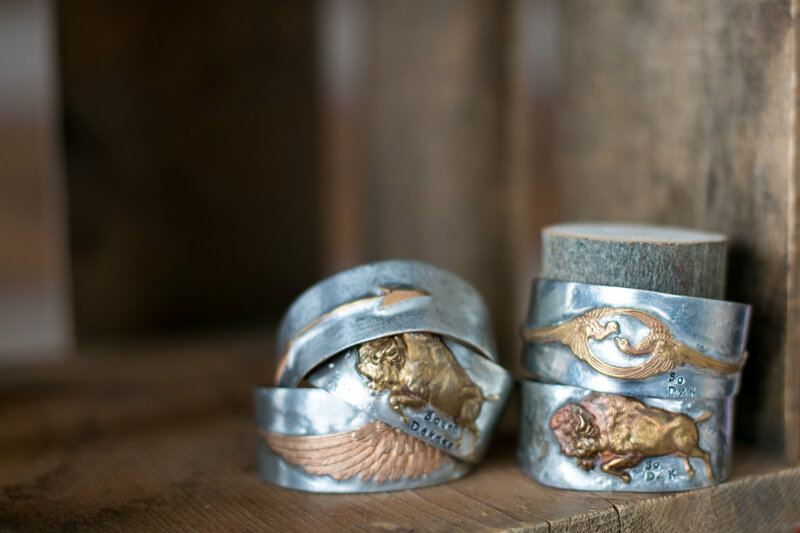 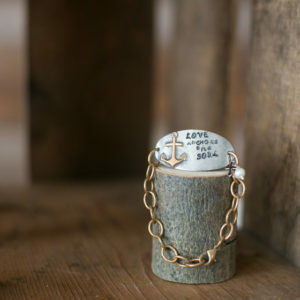 All my cuffs begin with a 6″ long and tapered from 1/2″ to 1 1/8″ wide with rounded ends brass piece of metal. 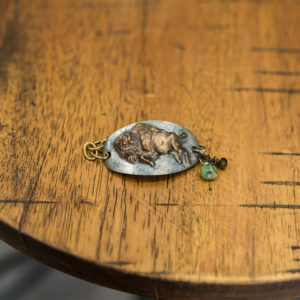 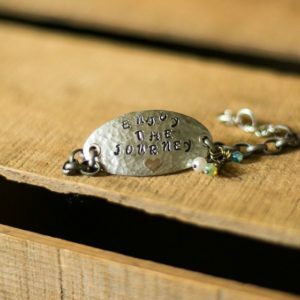 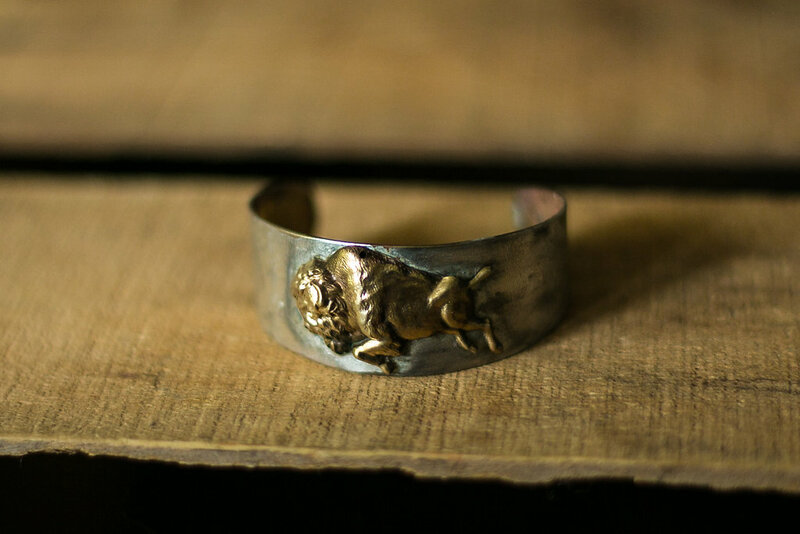 I use a lead free solder to solder the buffalo to the cuff. 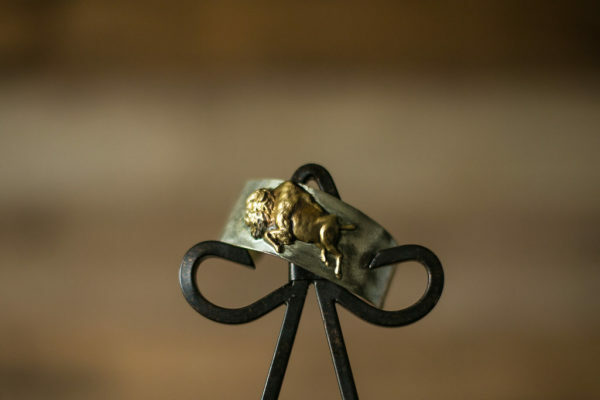 The cuff is polished and sealed with microcrystalline wax. 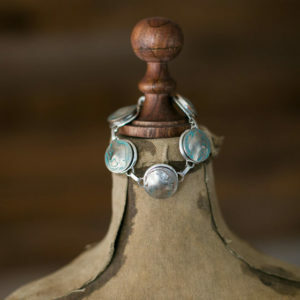 The cuff is adjustable to fit many wrist sizes.